Simona Tiems specialises in health law. Among her clients are care institutions, medical professionals and trade and professional associations. She advises clients and litigates on their behalf in matters involving patients’ rights, privacy, medical liability, care contracts, partnership and admission disputes, and acts as a defence lawyer in disciplinary cases and matters related to the Psychiatric Hospitals Compulsory Admission Act. Simona is widely experienced in conducting administrative proceedings in areas involving rates, licences or the registration, or re-registration, of doctors. She also gives advice in the field of care-related governance. Simona regularly acts as a mediator or arbitrator and is a substitute member/lawyer on the medical ethical review board of a university hospital. She is a keen lecturer and produces regular publications in her specialist field. She is appreciated by her clients for her expert and accurate approach, as well as her focus on their interests. Simona has been an attorney-at-law since 1997 and has always dealt with matters of health law. She started her career with Nysingh advocaten in Zwolle, after which she moved on to work for a considerable period with Van Benthem & Keulen in Utrecht. 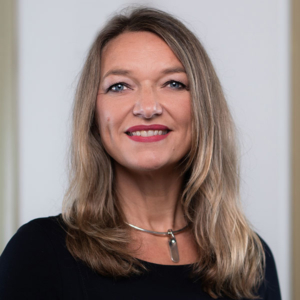 While reading law at the University of Maastricht (where she graduated in 1996) Simona was at once fascinated by the legal, ethical and practical dilemmas with which health law is faced. She attended Montpellier University for one year. In 2008 she completed her training as a mediator with the Centrum voor Conflicthantering (Centre for Conflict Management).